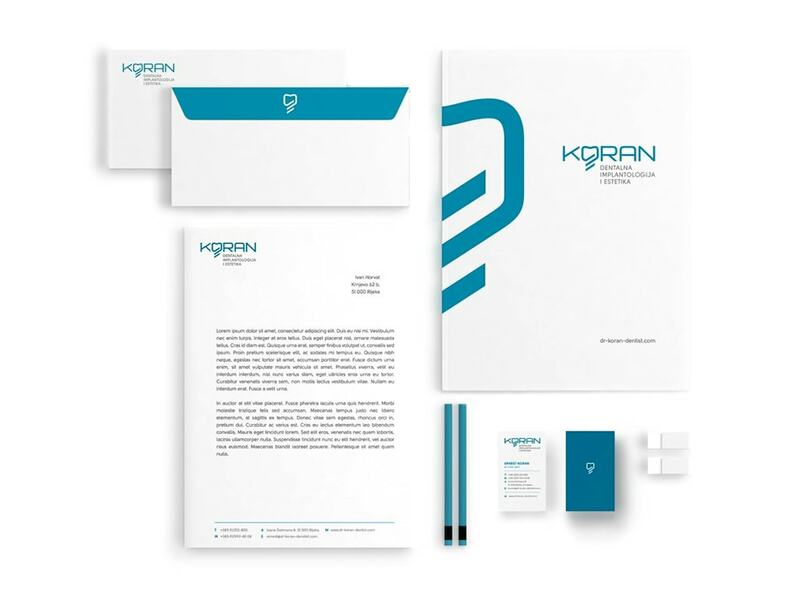 For our client dr. Koran we made a thorough redesign of visual identity. 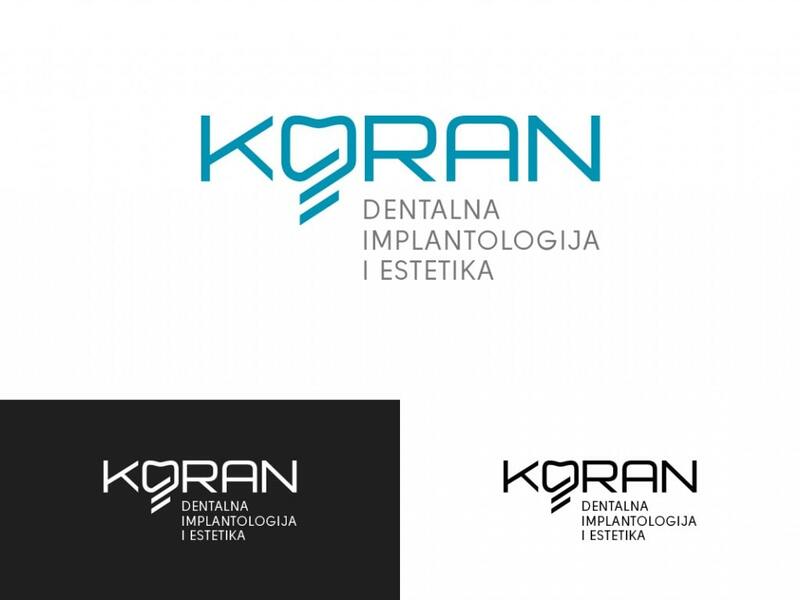 The new visual identity is designed with the purpose of technical and visual aesthetics, which emphasizes the logo symbol that represents a stylized screw implants. 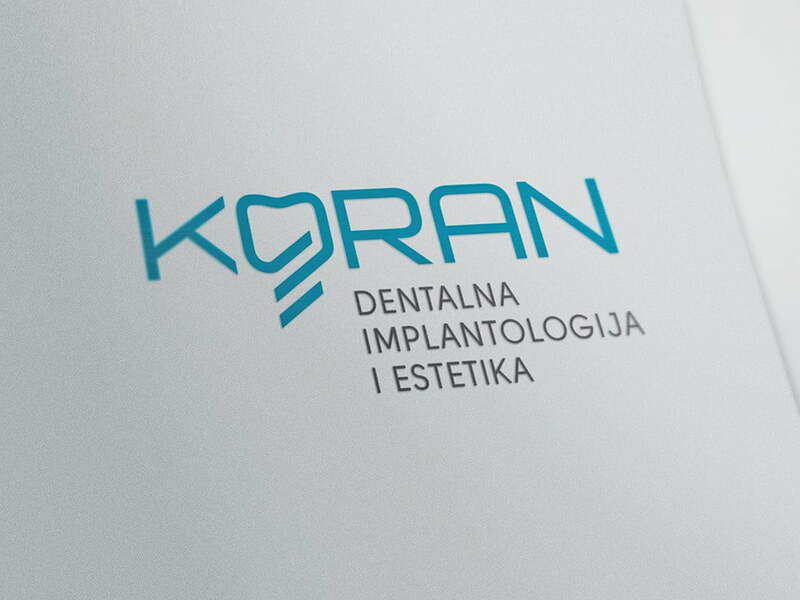 Precisely for this reason, we used non-serif and purely technical letter that reveals the precision, accuracy and functionality in visual and symbolic meaning of the logo, representing the values of dr. Koran services. By customer request, as a home color, we have implemented a greenish-blue (dark blue or aegian blue) that suggests elegance, seriousness and confidence. We chose gray color as a secundary color that represents technical excellence and professionalism.